As Corporate orders are highly specific to the particular needs of your business, please complete our Corporate Enquiry Form and we will contact you as soon as possible to discuss your requirements and provide a quote. 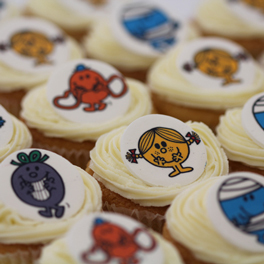 Alternatively, please do not hesitate to contact us on 0845 296 9188 or email us at contact@thelittlecupcakecompany.co.uk. For smaller orders, you can also order online using Corporate Online Orders. 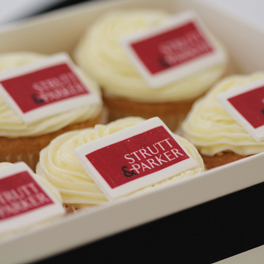 For inspiration, see images of our previous work for clients below – we cater for everything from individual gifts to 1000s of cupcakes. 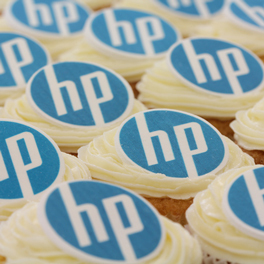 Logos printed on our unique solid fondant edible plaques in high quality specialist ink - not limp wafer paper! Promote new brands and products. 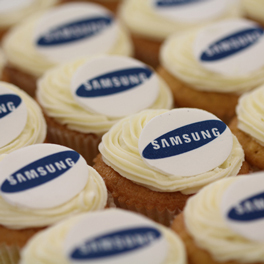 We offer complete customisation of our cupcakes - logos, colours and packaging. 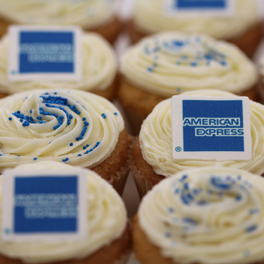 Send boxes of cupcakes to all your clients' offices. 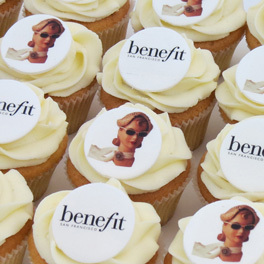 Thousands of cupcakes to your bespoke design. 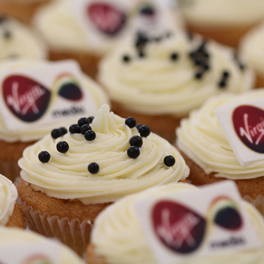 Single cupcake in a box with a matching ribbon – simply lovely. Choose from a range of gift boxes from individual boxes to luxury boxes of 24. Combine different images to convey your message. 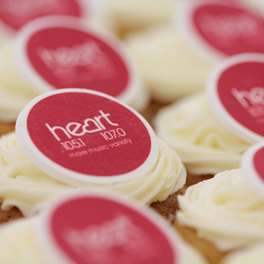 Send us your brand colours or image of your logo and send a strong message about your brand. Mix it up with some printed toppings and other cakes with sprinkles. Messages can be printed on plaques or piped by hand. 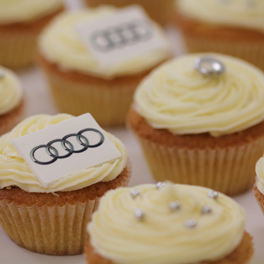 A popular thank you for loyal clients and staff. We offer a wide variety of beautiful coloured ribbons. Suitable for all ages and enjoyed by everyone. Our regular customers keep coming back for our quality of service and products. High profile companies from all sectors. The high standards of our service are reflected in our numerous clients, many of which are household names. Special sized boxes of 6, personalised for your business. 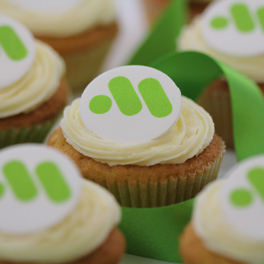 Carefully matched to your company colours. We offer a range of different plaque shapes – round, square, rectangular and oval. We have built a great reputation for our bespoke service for Corporate clients. 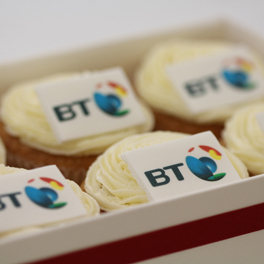 We offer creative solutions to business to meet their requirements for the finest quality branded cupcakes. 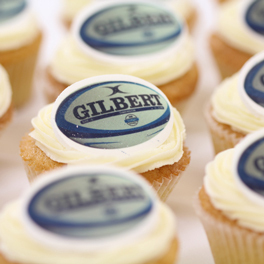 Our branded cupcakes can be decorated with logos, images or company colours. 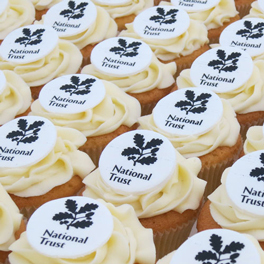 Ideal for product launches, extending brand recognition, corporate hospitality, presentations and many other forms of marketing and publicity as well as internal events. 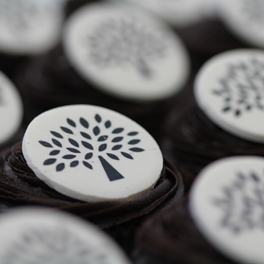 We pride ourselves on the complete customisation of our corporate cupcakes, including logos, colours and packaging, and the high standards of our service are reflected in our numerous clients, many of which are household names. 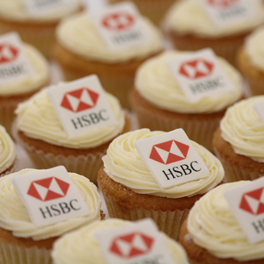 Our corporate logo cupcakes have impressed 1000s of clients and colleagues across London and the UK. Please enter delivery locations or upload a Word or Excel document here. If you wish to upload any logo or colour files please attach here in jpg or png format.